Shooting with The Burgh Boyz!! 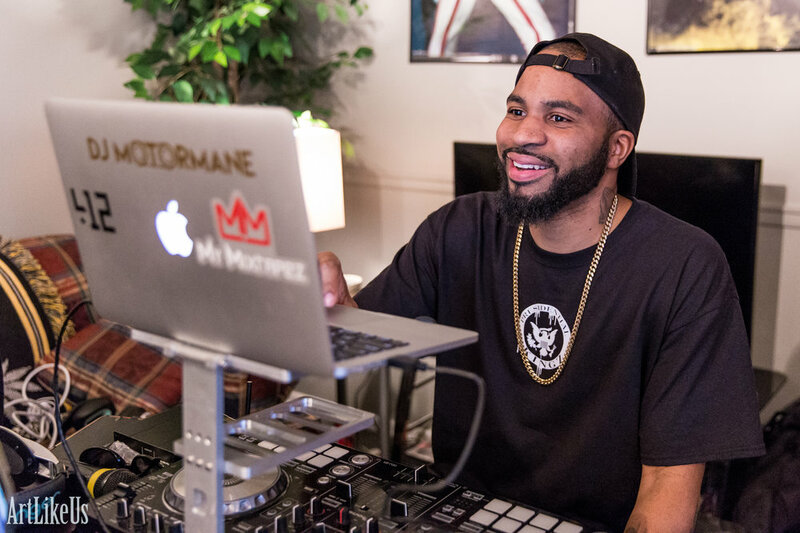 Taylor Gang's DJ Motormane hit me to tell me that he's joining forces to cohost a new live radio show with Rare Nation's DJ Spillz called The Burgh Boyz and that he wanted me to shoot, so of course I said yes! Motor said "6:30 PM" little did we know that technical difficulties would stop us from getting anything done until about an hour later when they finally got it together. The Burgh Boyz got it started with their first guest, Palermo Stone. Mary in the air, jokes being exchanged, with more bud than we're burning being rolled, The scene was set, Palermo's label mate JKJ was in the background adding his two cents to every comment he couldn't help but speak on. Spillz & Motor meshed well and Palermo came ready to talk, Then Motor said it "You gonna rap for us man?" He (Palermo Stone) initially turned it down but after JKJ stepped up and gave the mic some heat he couldn't help his self. Watch below, they did their thing! The Burgh Boyz team up and bring in Pittsburgh artists and Rare Nation emcee Palermo Stone and he had a great freestyle with JKJ.